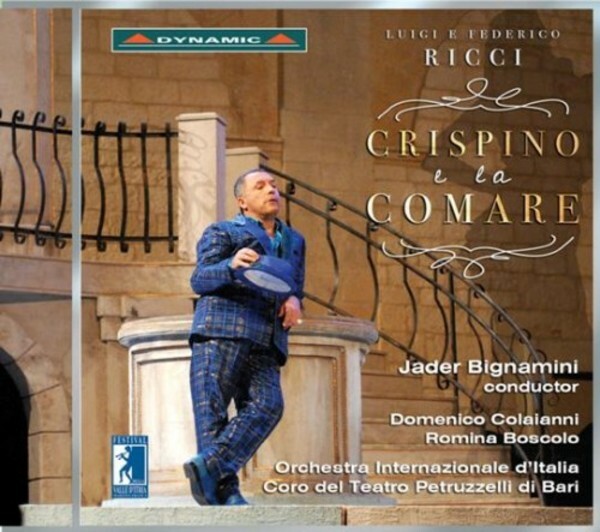 Dating from the mid-19th century, Crispino e la Comare (Crispino and the Fairy) was composed by the Neapolitan brothers Luigi and Federico Ricci. It’s one of the last examples of Italian traditional opera buffa and quickly gained in popularity. Between 1854 and 1871 it was performed literally all over the world – in Constantinople, Barcelona, Malta, London, Cádiz, Rio de Janeiro, Paris, New York, Warsaw, New Orleans, Mexico City, Liège, Brussels, Lisbon, Buenos Aires, Vienna, Santiago de Chile, Baden Baden, Berlin, Calcutta and Melbourne. The title character enjoys one of the great bass roles of 19th-century opera buffa, demanding equal skills in acting and singing, and captured here by Domenico Colaianni’s magnificent performance. The recording is from the Martina Franca Festival in Italy.